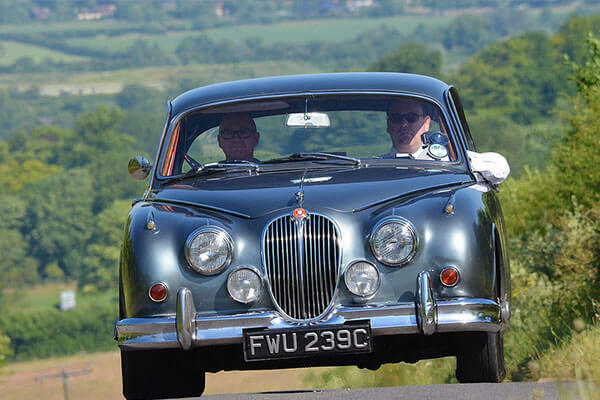 This Half Day Classic Half Day Road Trip gets you behind the wheel of 3 iconic classic cars on a 4 hour drive through the Cotswolds or Malvern Hills. Choose between the Cotswolds Circuit tour or the Malvern Loop. Each one includes the use of three classic cars including E Types, Triumphs, Alfa Romeos, Porches and MGs, plus a break for afternoon tea. The range of cars is drawn from a fleet of over 20 that includes classic Jaguars such as E Types and Mkrs, Porsches, MGs, Triumphs, Alfa Romeos and Healeys. Please allow half a day for your experience. Please note this experience cannot be cut short. Drive three supercars for a driving experience around the purpose built track at Bovingdon airfield in Hertfordshire. Experience 24 laps of blood pumping driving. The perfect gift for fans of supercars. Drive the world's greatest supercars all in one day, Ferrari, Lamborghini, Aston Martin, Audi to name just a few. Get driven in three supercars on a high-speed passenger ride around our circuit in Hertfordshire. Jump in beside the instructor as he rips around the track whilst you hold on for a thrill like no other. Experience speeds like never before with a gift voucher.